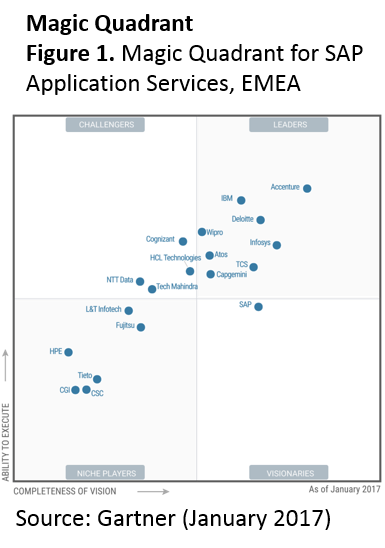 This Magic Quadrant evaluates 19 service providers' capabilities to deliver SAP application implementation and management services in EMEA. Sourcing and vendor management leaders should use this research to help identify potentially suitable providers and to inform their evaluations. Learn more about Atos SAP solutions here.